It’s the eve of the latest spring season, but I’m still playing catch up with a lot of last year’s finest. Last week it was Xam’d, and this week it’s Michiko e Hatchin and Toradora. I’m only too aware that the anime community is driven by an insatiable desire for ‘newness’, and I’m really excited by some of this new anime too, but there has always been a feeling that a more considered, ‘concentrated’ and, dare I say it, slower viewing style is the ideal way to go. It’s true that sometimes a good series is impossible to resist, but I’m also thinking that there is so much more to gain from taking in only one series at a time. Such is the way I’m approaching most anime these days. 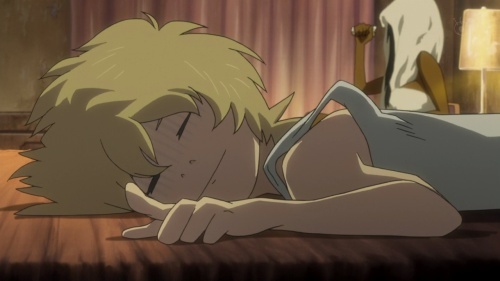 If nothing else, at least I’ll have the opportunity to write about something different each week, and this time, one of those things happens to be Michiko e Hatchin. Since Shinichiro Watanabe was attached to it, this was one of my most anticipated anime of last year, but generally speaking, I would have watched it anyway, because, basically, Michiko e Hatchin looks really cool. It has a punk rock style, with a strong emphasis on things like fashion; the clothes are ever changing, the hair is messy and the voices are lazy. As if to suggest it couldn’t give two shits about whether you like it or not, it’s like the perpetually sneering, Johnny Rotten of anime. If style was all that mattered, then this would be perfect, but to really admire something, I need characters to care about and a story to be fascinated by, too. Michiko e Hatchin has none of these things and as such, it ends up feeling ever so empty and aimless. It’s not that I didn’t enjoy it, because I was able to watch all 22 episodes in one week, so, obviously, I found it entertaining and beautiful to look at, but reflecting on it now, it just feels like there is nothing left to say. The fusion of anime and South American culture is a cool idea, but may be too much emphasis was placed on recreating the visual style and tropes of, for example, Brazilian cinema, to the detriment of a good story. Then we have Toradora. I watched the final four episodes this morning and not expecting much at all, I was surprised by the impact it wrought on me. I’ve been back and forth with my opinion of Toradora for a while now, but, undeniably, the finale was hugely involving. We had the soulful dreaming of characters like Ryuuji and Taiga, Minorin’s conflicted smile and Ami’s desperate loneliness, each of them contemplating the state of their lives, while searching for happiness in indirect and painful directions. I lost a lot of faith in the series when it descended into cheesy Christmas songs and illogical plot twists, but the finale won me back over. It may be a generic set-up, but, in the end, Toradora was an honest and heartfelt drama. I couldn’t ask for any more. I still remember the first episode, since I dropped it right then and there. The characters were just so annoying. Even the style I expected bit more. But o well there’s still Casshern. I also hear some bits of Toradora is quite good (as expected from the director of HC II) but not really too keen on trying this from what I’ve read over time anyway. I have the same problem with Michiko to Hatchin, but I don’t feel as much like I couldn’t care about the characters as they didn’t do enough with the characters. I thought the relationship between Michiko and Hana could have developed more than it did (though it was still done quite well in my opinion). What really disappointed me was the final meeting with Hiroshi. He’s the elusive goal that’s always been somewhere in the distance, and to finally meet him, the central object of Michiko’s desire, only to have such an anticlimactic reunion just didn’t live up to the the 22 episodes of preparation and foreshadowing we had. Michiko e Hatchin started in very late October, by which point most people have already picked up whatever show’s they’re planning to watch (compare and contrast shows that start at a point one would consider “early”, like manglobe’s previous effort, Ergo Proxy). I read quite a few comments that M&H was “too Western” for a lot of people, so they wouldn’t watch it. Personally, I saw the first episode and thought that it was fine but nothing special – it looked great but there wasn’t anything there to make me watch any more. Yeah I dropped Michiko to Hatchin awhile back. I remember really liking the first episode or two but then it went downhill from there. Since we have similar taste it sounds like I made the right decision. Being very very keen on the show, I remain perplexed at the way that the fascination with the latest things among anime fans really isn’t apparent regarding Michiko to Hatchin. One might expect pure stylishness to translate into that form of success. As it turns out it seems to have been more of a slowburning cult affair. I can’t agree with your ‘Johnny Rotten’ label. To me at least the show backed its flair with a mix of elegant storytelling and deliberate complexity. I can see how people could loose satisfaction with the story, which wanders around wilfully, but I found the whole package consistently moving as well as stimulating. Different souls for different folks? I was thinking that RyuujixTaiga wouldn’t be so bad even though I was/am a fan of RyuujixMinorin. Then again, the pairings doesn’t really matter — the story was really good. I still haven’t seen the last four or so episodes because I kind of lost interest in anime (bad bad American shows … they’ve kidnapped me … literally), but I still followed it through Random Curiosity (by that I mean I just glimpsed at the pictures and read a few comments). It doesn’t seem Ami’s in it much though, which is kinda sad since she has an awesome personality and character. I’m glad you ended up with a positive opinion of Toradora! ; it’s been my favorite of the season and the only show i’ve kept up with throughout my busy semesters. I forget which blog i read it at (i think it might have been here), but someone watched the first few episodes of Toradora and said: “you know they’re [Taiga and Ryuuji] going to get together in the end, and it’s just about watching how they get there.” Toradora for me was wonderful because it was simply that: only a journey. I haven’t finished Michiko e Hatchin simply because it didn’t have an emotional hold on me – and as i mentioned above, i’m a busy girl. I suppose the difference with Michiko e Hatchin in comparison with, say, Samurai Champloo – a strikingly similar series in the sense that it both dripped with style, but had a very straightforward plot: Find person X – is that throughout Samurai Champloo there was the sense that the characters were evolving, a sense missing in Michko e Hatching. That said, There’s something compelling in watching Michiko, ever the wannabe mature woman, chase doggedly and hopelessly after Hiroshi. I’ll see how it goes though. Speaking of new, shiny things, I assume you’re in for Eden of the East? Umeno Chica’s chracter designs were enough to sell me on this one, but hopefully the plot delivers too. Aww, lovely to see some old faces in the comments; I was wondering where many of you had disappeared to! @gaguri: It’s difficult to say whether or not Toradora would be worth your time, it’s quite generic in a way, and hence, difficult to recommend. But you never know, one day you may wake up and feel like giving it a try? @Omisyth: Maybe in the anti-climax of Hiroshi’s reunion, the show revealed its truest intentions? I was quite surprised by it too– though I thought the epilogue was quite telling; after a few years, Hiroshi leaves Hatchin behind. So, after all that trouble, he turns out to be a total waster. What was the point? I guess, with them not having any one else to rely on, it’s all about Hatchin and Michiko becoming truly independent women? @Kim: I really dislike having to criticize a series like Michiko e Hatchin, because it’s at least trying to do something creative, and even if it fails, it deserves credit for that ambition. @coburn: Definitely. When I read you’re comment, I was wincing a bit because I know you loved Michiko e Hatchin from the outset, and this is usually the kind of anime I like, too. The ‘Johnny Rotten’ tag wasn’t intended as a criticism, more just a nod towards the general feeling of ‘punkness’ I got from the show. The facial expressions and ‘fashion sense’ of Hatchin, in particular, really reminded me of someone like Billy Joe Armstrong. @BluWacky: That’s a tough ask, because, in many ways, Toradora is precisely as generic as you would expect; Tiaga is the tsundere, etc, but still, it feels like more than just a ‘surface’ level anime. The characters have personality, are fallible and prone to insecurity. There are none of the typical ‘CRY NOW’ flashbacks or tragic accidents that seem to dog the genre, it’s just a bunch of (older) teenagers trying to make sense of their lives and failing, sometimes quietly, other times spectacularly. But please don’t get me wrong, it wasn’t a masterpiece. 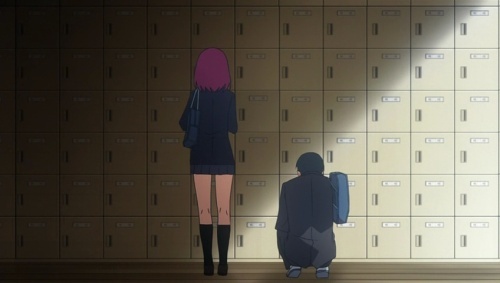 I had low expectations of Toradora and it surpassed those, but fundamentally, it’s still a high-school romance/drama about a bunch of kids falling in love and making stupid mistakes. The difference is, this time, I actually cared about them. @Celeste: Of course, I’ll be all over ‘Eden of the East’. Aside from Chika Umino’s involvement, Kenji Kamiyama (Seirei no Moribito) is attached as director, so I’m quite excited to see how it turns out. On a similar note, are you planning to watch ‘Guin Saga’? I remember you talking about Twelve Kingdoms and Escaflowne, so you should know that Guin Saga is another epic fantasy adventure in that vein; I’ve read all five novels released in English and it promises to be quite good. The Manglobe production was an “all show – no substance” type of anime. Sure it was stylish and action packed, but that was not enough to cover up the problems with the lack of sensible character development or the sometimes shocking inconsequence (example: Michiko kicks a kid with a gun in one episode only to surrender without a fight to the very same kid mere minutes later). Fun to watch just for the awesome animation for a couple of episodes, but gets boring pretty early on. I dropped it around ep 12 or so. Now, Toradora is a tough one. As you may recall, bateszi, I loved the show for the first half. Back then the characters had depth and felt real, with believable problems. The whole thing wasn’t a totally pretentious and predictable drama. A bit later though, around the time Minori gets depressed for reason beyond my comprehension, everything went downhill. Suddenly everything started going in one direction: Ryuji x Taiga, with all the stuff harem animes are plagued with: annoying drama and a clueless beyond belief main character. Still, the series delivered more than I expected it to, so I guess I can call it a good effort. Haven’t finished MxH yet. Frankly speaking, I’m rather surprised everyone seems to hold such negative impressions when it comes to MxH. I watched till 10 and I like what I have seen. I hope this isn’t any indication that the second part of the show is sub-par compared to the first half :(. Oh well had to get that off my chest. @Johny: I agree with you on both counts, really. Toradora, while a good series, had flirted with greatness in its first half. The second half derails quite badly, although I believe it regained some of that ‘spirit’ in the last 4 epiosdes. 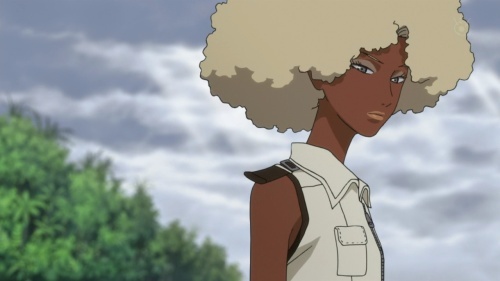 Also, I think you’re spot on with Michiko e Hatchin, too. Like in that scene you described, the little things felt a tad inconsistent. Maybe it was down to the director being a first-timer? I could never tell whether the series was trying to be gritty and realistic, or crazy and over the top– the end feeling is somewhere in the middle. Toradora as 8/10. In comparison, Xam’d was a 10/10! @Ivy: I think the Toradora light novel series was completed in only a matter of weeks before the anime finished, and I’ve no idea how they managed to synchronize that so well! As for Michiko e Hatchin– it’s fun and entertaining, with some really great action scenes in that second half. I just had a bit of trouble caring about the characters, is all, but I definitely wouldn’t call it sub-par. I actually really liked Michiko e Hatchin. Possibly even more than Casshern Sins. But I’m not saying either is bad. Putting the Emotional attachement to the characters aside, I think MeH had some very profound things to say about life. We have humans acting in very real ways, each of them hang onto the past and are held back because of it. It’s very down to earth. Where in Casshern Sins we have robots acting very melodramatic and very strangely. It’s got a few esoteric points about the nature of life and death. But gets kind of lost in all the crazy, obsessive robot madness and cute kids that giggle way too much. Anyways, If I wanted to sit my kid down in front of an anime and have them learn something from it, I’d choose MeH over most recent shows. I think I finished MeH with a higher opinion of it than yours, perhaps because I watched it episodically rather than marathoning it. It had plenty of problems and at times it was aimless as you say, but between this and Toradora it was Michiko e Hatchin which I found to be more involving. The jump in time at the end did feel a little forced to me, but there was a kind of unflinching grittiness at the heart of the show which I found hard to resist. I suppose I liked the idea that in the end, regardless of Hatchin’s uncaring father being unworthy of the effort, the journey felt like the worthier part of the story than the conclusion. Not a great show perhaps, but I wasn’t disappointed by any means. Toradora on the other hand was a show I had high hopes for at the midway mark that then descended into cliffhanger of the week and cheesy cliches, becoming progressively worse towards the end. I still enjoyed it to a degree, but I felt let down after being pleasantly surprised at the start. Finally Its Been Years I see the Tan Dark skinned anime girls. ABOUT TIME!!!! When i watch it Ive started to love it since i saw this some parts did i see in brazil and other Caribbean are true. Like kids like 3-12 having weapons where no one around n stuff wanna be gangsters n all .